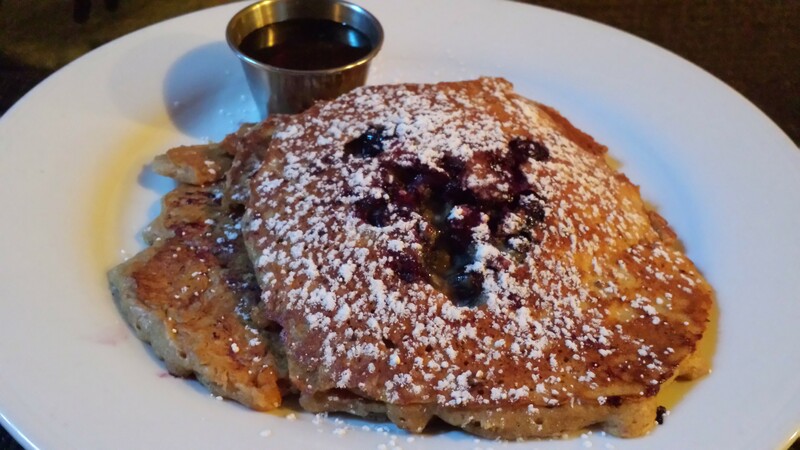 If you’re not paying attention, you might just miss out on a great West Village brunch spot. Bell Book & Candle, a subterranean eatery on W. 10th Street, has a following for dinner and cocktails but they also know how to do a great brunch. BB&C’s philosophy is all about local, organic, sustainable, responsible procurement. In fact, the menu is highly seasonal and heavily influenced by what is available from their aeroponic roof-top garden. 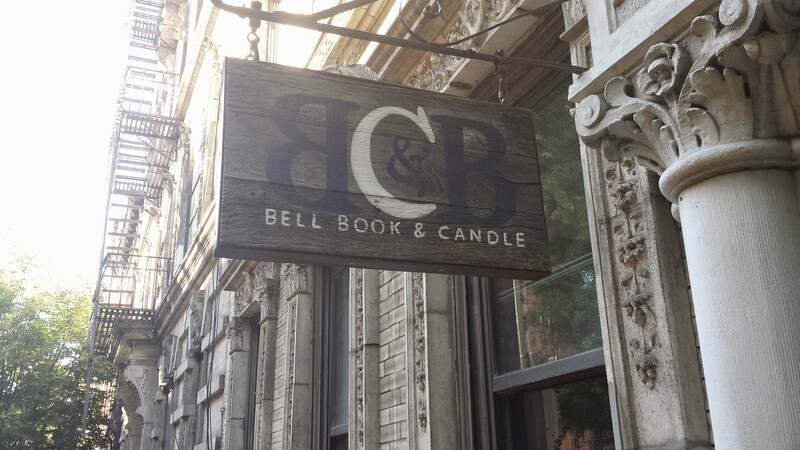 You’ll find this this “hidden” gem by looking for a wooden sign painted with “BB&C” on it hanging off the side of a building. Look down and you’ll see a few steps leading you to the basement level where you’ll enter through the bar. Once you make it to their cozy dining rooms, their farm-to-table philosophy translates into a delicious brunch you can feel good about eating. We started our meal with the day’s special salad, heirloom tomatoes (from the roof-top garden) topped with a homemade buttermilk bleu cheese dressing. 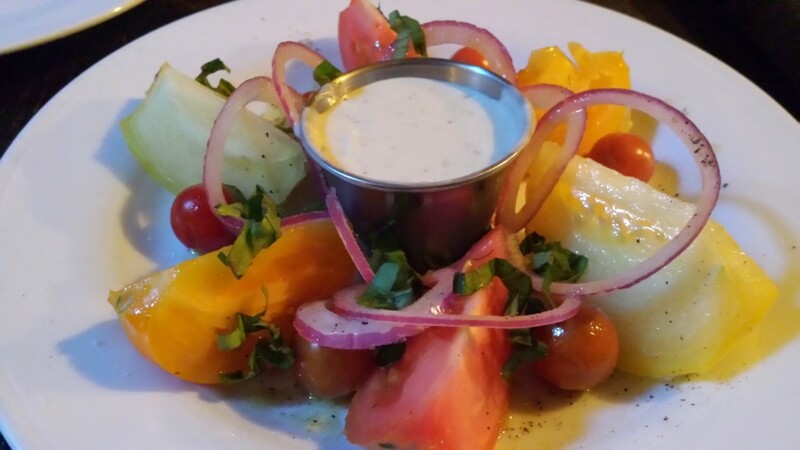 The creamy dressing and bright flavors of the fresh heirlooms set the stage for the rest of the meal. Offering a range of traditional breakfast and lunch items, BB&C also has a few smaller plates from their dinner menu (like their famous lobster tacos) if you feel like mixing it up, though we stuck to the brunch stuff! Steak and eggs benedict—high-quality steak and perfectly-poached eggs with a well-matched Béarnaise sauce—was a hearty and satisfying pick. On the sweeter end of the spectrum, we tried the blueberry buckwheat pancakes, which may have been more impressive—soft, fluffy, and full of fresh blueberry goodness, topped with real Maple syrup. 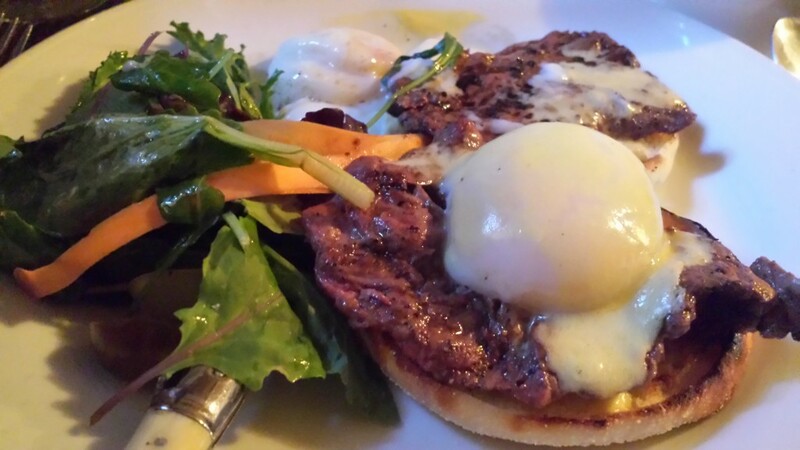 Looking for a boozier brunch? BB&C offers unlimited brunch cocktails (options include aperol spritzer, bellini, spicy mary, mimosa) for an additional $20. Add a little adventure to your weekend and go find BB&C! The food is quite special, especially given how much of it is grown on-site. But we were most impressed with the consistent quality across different types of items—their chef knows brunch. So whether you’re looking for classy, boozy or somewhere in between, BB&C should be on your brunch list.